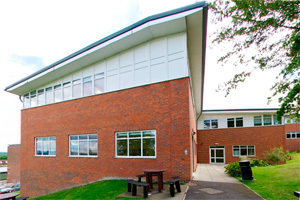 Hillview School for Girls is a large secondary school in Tonbridge, Kent with a non selective intake. There are currently approximately 1,200 students aged between 11 and 18 years old. Our students come from a wide range of backgrounds and we cater for a range of different student needs. Hillview recently achieved the International Schools Award and we now aim to further our students experiences by participating in wider and more embedded international projects. We have recently changed our Key Stage 3 curriculum to include 3 lessons a week on 'Global Learning' where students explore and understand their place in the current, rapidly changing world. We believe this project is an excellent opportunity to bring these lessons to life and add real value to students learning and experiences in this new curriculum area. Hillview School for Girls will play a full role within this Global Community project. We aim to undertake a significant amount of research into who we are as people and as students and how our identity has been shaped by the past as well as the present. We also aim to investigate who we may become in the future as a result of the ever changing world we live in. We also want to research and challenge our views about our place within Europe and look at the similarities and differences between teenagers in the U.K. and teenagers throughout Europe. We then aim to share what we have learnt with our European partners, while at the same time learning from them on what their experiences have taught them about who they are.